or if you are looking to maintain your current computer? 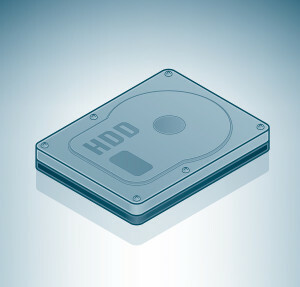 Continue reading to learn how to properly protect your data. 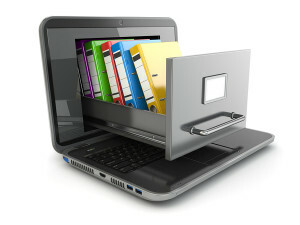 Before we begin, if your laptop gets misplaced or the room which has your desktop (G-d forbid) has a fire or flood … will you need the data that was on the computer? If yes, please join us below for a discussion of the different types of backup. A local backup is when your data is copied to another location, but it is stored locally. PRO: In case of hard drive failure, there is a copy of the data. CON: In case of fire/flood, odds are your backup will be equally destroyed. A cloud based backup is when your data is copied to the cloud. PRO: Can always access data from the cloud. All your eggs are not in one basket. A mirror configuration refers to a set up where there are (at least) 2 hard drives in the computer. The computer runs off of 1 drive, but makes an instant copy (aka mirror) on the 2nd drive. Therefore, if there is hard drive failure, the 2nd dive will kick in right away and there will be no down time. PRO: Reduces probability of down time. CON: This does not prevent infections or fire/water damage from destroying data. A clone or imaging is when your hard drive is “photocopied” to another location. 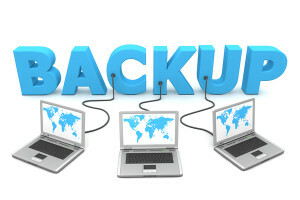 While backups take a backup of your data, they generally do not take a backup of the actual programs or settings. A clone will take a complete copy/backup/image of your entire computer. Looking to reduce complete down time? There are solutions which when a computer or server shut down, an image can boot up immediately and work on the temporary location (or from home) until your server/desktops are repaired.